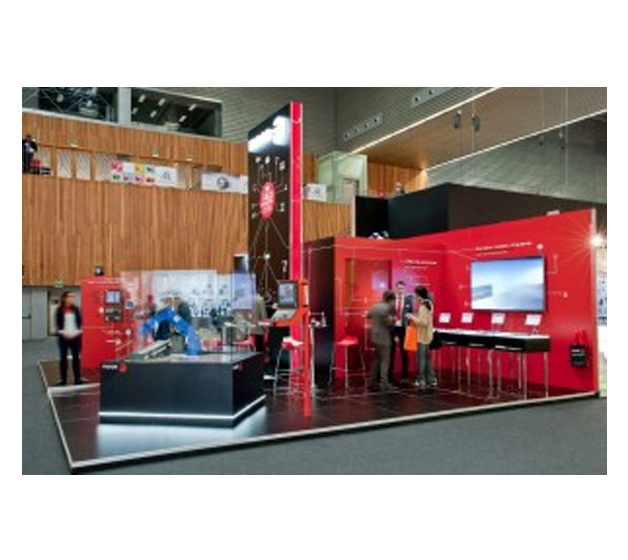 According to the organizers, the Bilbao International Machine-Tool Exhibition, which has just come to a close, exceeded expectations in terms of the number of visitors, welcoming 40,000 people. The trade show had its best edition of the past few years, with 13% more visitors, new areas of interest for businesses and deals closed in all sectors. Relevant visitor data in this edition of BIEMH include the fact that 45% trade members came from outside the Basque Country, 5% of them being from as many as 54 foreign countries. The event also exceeded expectations for Fagor Automation, in terms of the number of visitors to our stand. What is more, visitors showed their interest in our new developments and products, which resulted in contact making and order placement. Against today’s highly competitive background, at Fagor Automation we are aware that companies need to stand apart and offer solutions that make them different. In line with this, the launch of Industry 4.0 Tailored Solutions drew many visitors in search of solutions applicable to their businesses. Fagor Automation offers solutions that can be adapted to customer needs in terms of production system optimization, machine interconnection, preventive or immediate diagnosis of everyday problems, and so on. By way of sample, a robot was displayed for integrated machining centers at the Smart Factory, which can be remotely controlled from an office and monitored through the manufacturing execution system (MES). Likewise, a full range of user interface customization options were introduced, based on the latest technology available in terms of navigation, graphics, and so forth. In addition to the introduction of Fagor Automation’s future machine-tool solutions, the latest hardware and software developments also caught the eye of visitors. Among them we can mention the wireless steering wheel with touchscreen or the new software for high-performance machines: five-axis kinematic calibration, CNC simulator for PCs, advanced machining incident management system, collision control, five-axis array programming, orbital milling, dynamic machine control (DMC), Fagor machining calculator (FMC), etc. In the capture system department, Fagor Automation introduced new products, such as high-precision angular encoders (up to 1 arc second precision and up to 29-bit resolution), featuring an advanced design that minimizes fluid accumulation thanks to improved drainage, self-guided linear encoders, second series linear encoders and open linear encoders, featuring absolute digital protocols of up to 0.01 micrometer resolution, mounting aid LED and dynamic self-adjustment of signals. All these developments were warmly welcomed. We also welcomed institutional visitors to positive results: Provincial Governments of Bizkaia and Gipuzkoa, ICEX-España Exportación e Inversiones, Center for the Development of Industrial Technology (CDTI), Araba and Bizkaia Chambers of Commerce, Business Association of Gipuzkoa (ADEGI) and Basque Business Development Agency (SPRI), among others.